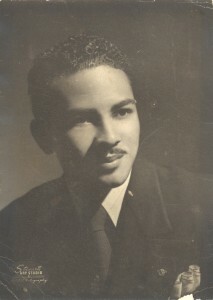 Clarence Leonard Graves, 89, of Fontana, CA passed away quietly in his sleep on May 11th, 2013. A tribute video will be posted to this site before the funeral. Viewing services will be held at Arlington Mortuary in Riverside, CA on May 20th from 4:00pm to 8:00pm. Funeral services to be held in the same location on May 21st at 11:00am, followed by graveside service at Riverside National Cemetery at 1:00pm. Clarence was a child of the pre-depression era, being born in Moscow Arkansas. His father moved their family to Chicago, Illinois in 1936 during the worst of the devastating effects of the dust bowl. He helped his father earn wages for the growing family and was soon enlisted in the Army. During World War II he served in North Africa and the Pacific Theatre. Clarence was present during the liberation of the Philippine Islands and earned an honorable discharge from the service and joined the ranks of the Greatest Generation. He graduated with a degree from the Chicago Conservatory of Music. When the Korean War started, he enlisted as an officer in the U.S. Air Force from 1951 to 1953. He worked as a supervisor for the Chicago Housing Authority before moving to Fontana, CA with his entire family in 1961. Clarence soon followed his father’s footsteps and started a business in Fontana, CA. Clarence was always known for his dashing good looks and charming personality. Even in his final days, he maintained an infectious smile, dressed to impress, and won over the hearts of the people that cared for him. Clarence was a proud son of his parents, Clarence and Roberta Graves and the oldest of 7 siblings. Clarence is survived by his children, Paula Gudger, Bryan Graves, Keith Graves, Therese Graves, and Lori Reams. Clarence was the proud “papa” to ten grandchildren and six great grandchildren. Arlington Mortuary is located at 9645 Magnolia Ave, Riverside CA 92503, and can be reached at 909.689.1011. Post your comments here. Also check back to this site for a tribute video to be posted on 5/19/2013.